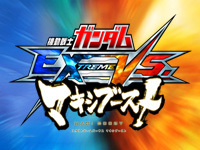 A new update of Mobile Suit Gundam Extreme VS. Maxi Boost is available in Japan today. Only one new mecha is added: the GF13-050NSW Nobel Gundam. It is piloted by Allenby Beardsley and comes from the anime series of 49 episodes Mobile Fighter G Gundam released between April 1994 and March 1995. The Nobel Gundam has a female appearance and is equipped with a Vulcan Gun, a Beam Ribbon (replacing the traditional Beam Saber) and a Beam Hoop. This mecha features a Berserker System that sends a special type of energy waves into the pilot's brain, allowing him to bring out 120% of his fighting potential. 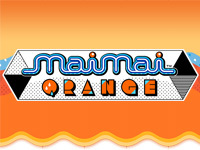 Sega starts operation of maimai ORANGE in Japan Yesterday. There are 12 new songs available divided in the diffents categories: pop, anime, game, original, Joypolis, niconico, Touhou Project, variety and collaborations. The new maiCHALLENGE feature adds different challenge modes for beginners and expert players. You can watch the trailer here. 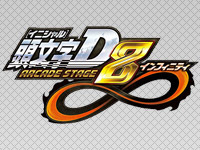 Initial D Arcade Stage 8 Infinity ver1.2 is available today. Thanks to this update, players will discover new features related to the D coins. Cars performances have been adjusted for the national competition. The Tag Battle Mode from Initial D Arcade Stage 7 AA X comes back. A new pass is now available for the first time in the series: Hakone, the final course in the manga. An opening time attack challenge will be held on Hakone course from September 26 to 28. 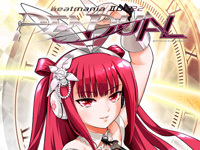 Konami launches beatmania IIDX 22 PENDUAL today. This is the 22th installment of the famous rhythm game. The theme is based on the time divided into two periods: the "present" represented by the white colour and the "future" represented by purple. The cycle between the present and the future follows a full week: from Tuesday to Friday for the "present" and from Saturday to Monday for the "future". Each phase has its own characteristics and features unique songs. The title track also changes from one mode to another: "chrono diver -fragment-" for "present" and "CHRONO DIVER -NORNIR-" for "future". The new STEP-UP mode allows beginners to progress faster and the EXPAND-JUDGE option offers a new challenge to veterans. beatmania IIDX 22 PENDUAL features more than 900 songs. 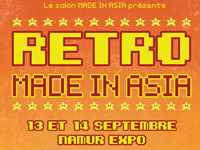 Made in Asia convention comes back in a smaller format, but with the same passion; it's Retro MIA! This convention will be held at Namur Expo on Saturday 13th and Sunday 14th of September 2014. As usual, a free entrance evening will be organized on Friday 12 but in order to enter, you will have to "buy" a free ticket. As its name implies, this show is focused on cartoons of the '80s/'90s and on retrogaming. Akihiko Yamashita (Hauru no ugoku shiro, Gake no ue no Ponyo, The secret world of Arriety, From up on Poppy Hill, ...) and Miho Shimogasa (Cutie Honey Flash, Gravition, Ultra Maniac, Psychic Academy, Sailor Moon, ...) will be the guests of the show. There will be several concerts during the three days with on Friday, 2080, on Saturday, Duo Sweet 17, on Saturday and Sunday Neko Light Orchestra and Bernard Minet! As usual, the traditional solo and group cosplay tournaments will be held as well as many other activities (cooking, art, ...). Arcade Belgium will of course be there with the largest booth we have ever had at a convention until now with dedicaded cabinets in addition to our usual machines. We will organise a Gundam vs. Gundam Next 2vs2 tournament (with prizes offered by Bandai Namco Amusement Europe) on Saturday and a Capcom vs. SNK tournament on Sunday. Ticket price is €9 per day and €16 for the weekend (presale price). Attention, the number of available tickets is limited to 10000 a day! Please feel free to also pass on the stand of our friend Lyyniadaro. Pokkén Tournament has just been announced during the stream organised by Famitsu and The Pokémon Company. Rumors were running for a while on this game but against all expectation it will be an arcade game. 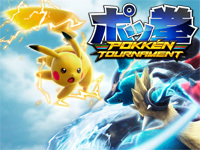 Developed by Bandai Namco Games and supervised by Katsuhiro Harada, Pokkén Tournament will be a fighting game between Pokémon. The released date is scheduled for 2015. A teaser is already available here. 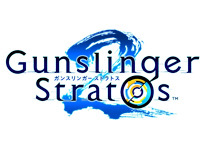 Gunslinger Stratos 2 ver1.10 is available in Japan today. This update fixes several bugs, adds a new weapon pack for each character, changes the scoring method of the national competition and introduces a new character: Rakan-do Rin. She comes from 20 years into the future to find the killer of her mother. She uses a fan among other weapons to fight. The Isshun Sengeki Cup was held today. This is the Tokyo qualifier for the Ultra Street Fighter IV official tournament in Japan. During this event, Taito and Capcom announced that four legendary Capcom's fighting games will be re-released through the NESiCAxLive network. 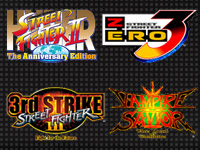 These games are Hyper Street Fighter II, Street Fighter III: 3rd Strike, Street Fighter Zero 3 and Vampire Savior. Taito will organise a public test during the Osaka qualifiers on August 30. Players will be asked to provide feedback. There is no release date yet for these titles but some info are already available: the display is in wide-screen format and players can save their name, points, ranking and number of KOs on a NESiCA card. A new course is available in Initial D Arcade Stage 8 Infinity today: the Nichien-Momiji line, home of the Seven Star Leaf team. In real life, this is a 28km-long road connecting Shiobara Hot Springs and Kinugawa Hot Springs at an altitude of over 1000m. This course was only available in Initial D Special Stage until now. 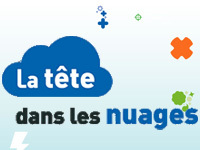 La Tête Dans les Nuages features new games for the holidays. The famous Parisian game center acquired some new good games: Mach Storm, Deadstrom Pirates Special Edition and Super Alpine Racer. These 3 games from Namco were released in Europe in 2014. On players request, eight pinball machines were also installed as Metallica and Avengers pinballs. It's time to go to La Tête Dans les Nuages as the arcade will be open throughout the month of August (including August 15) and promotions for club members are running.